We supply a range of phone and device charging options on a short-term rental basis for Conferences, Trade Shows and Exhibitions. Whether you want a single charging table or a full Chill & Charge Zone with multiple kiosks and furniture, we have the solution for you. 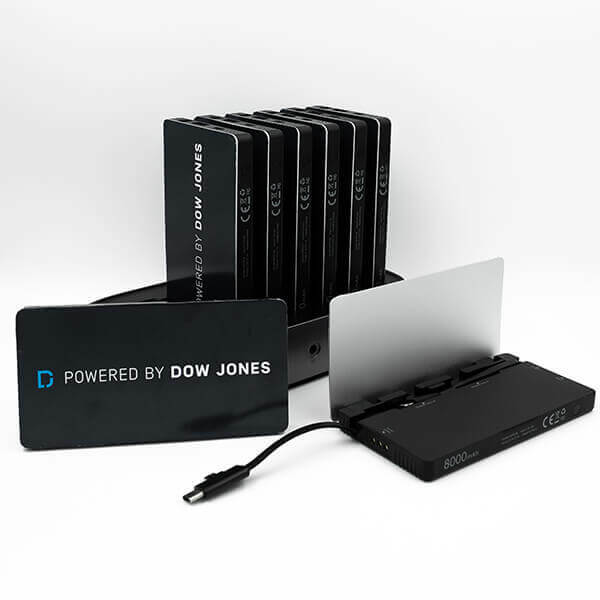 Our team will collaborate with you to identify your charging and custom branding needs. We will then deliver and install quality-tested, fully functional equipment on time, with technical support on-hand in the event of any concerns. How can you understand the exposure of your or your client's brand to potential customers at a given location and measure its effectiveness? Keeping your customers charged and connected via Chill & Charge's range of brandable phone chargers whilst, via our monitoring solution, evaluating the footfall of unique visitors, as well as their average dwell time, enables you not only to re-enforce your brand identity and messaging but, a recent study has shown, also doubles your brand exposure. 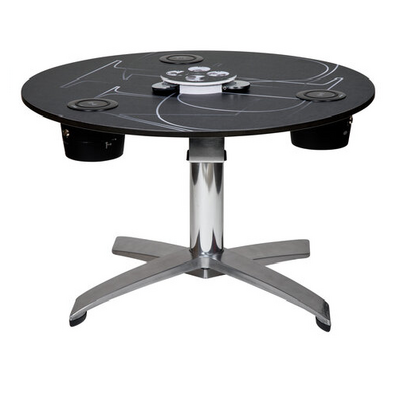 High quality vinyl wrap used for table-tops with additional circumference/rim wrap for poseur tables/charging benches. High quality back panel vinyl branding (where required), custom programming of screen display & lockers, video and slide carousel including customer surveys. 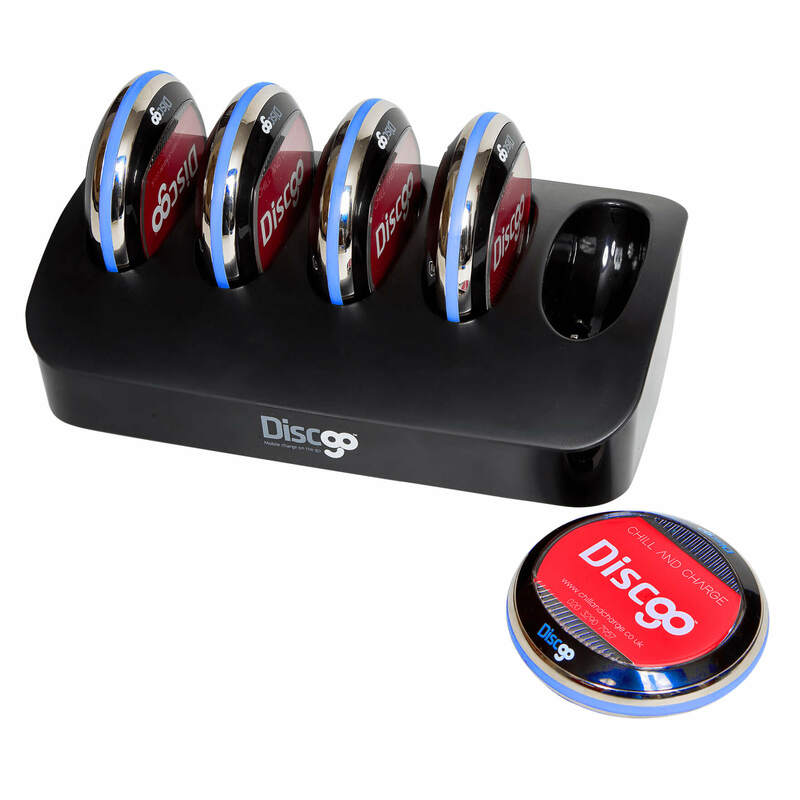 The clear Perspex holders can be used to house any form of corporate branding. The provision of phone charging services is a must at any Festival or Outdoor event. 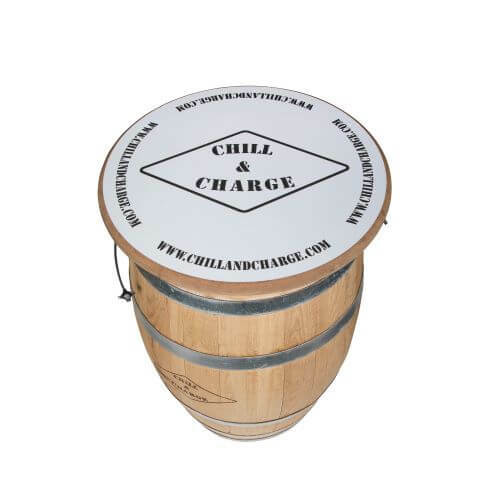 Whether with our famous battery-powered Charging Barrels or our Charging Trailer which can charge up to 350 devices simultaneously, Chill & Charge is the outdoor charging partner of choice for event organisers throughout the UK and Europe. 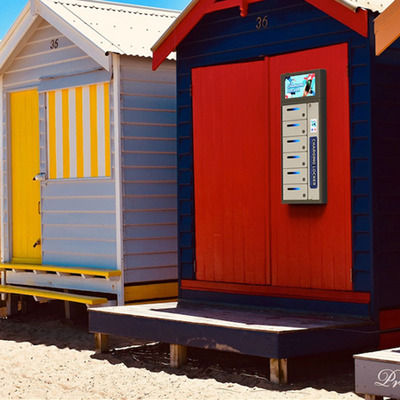 However remote the location, we are able to provide custom branded phone charging solutions on a short or long-term rental basis. 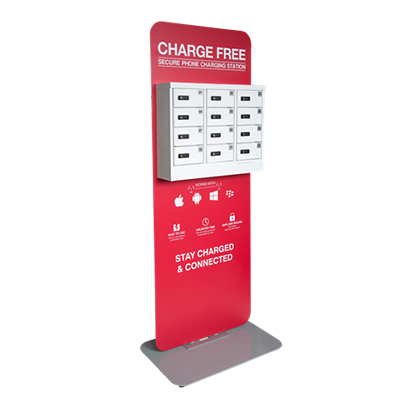 For certain venues, for example Shopping Centres, Gyms, Airports, having secure, reliable phone charging facilities is now a 'must have' both for visitors as well as venue owners. 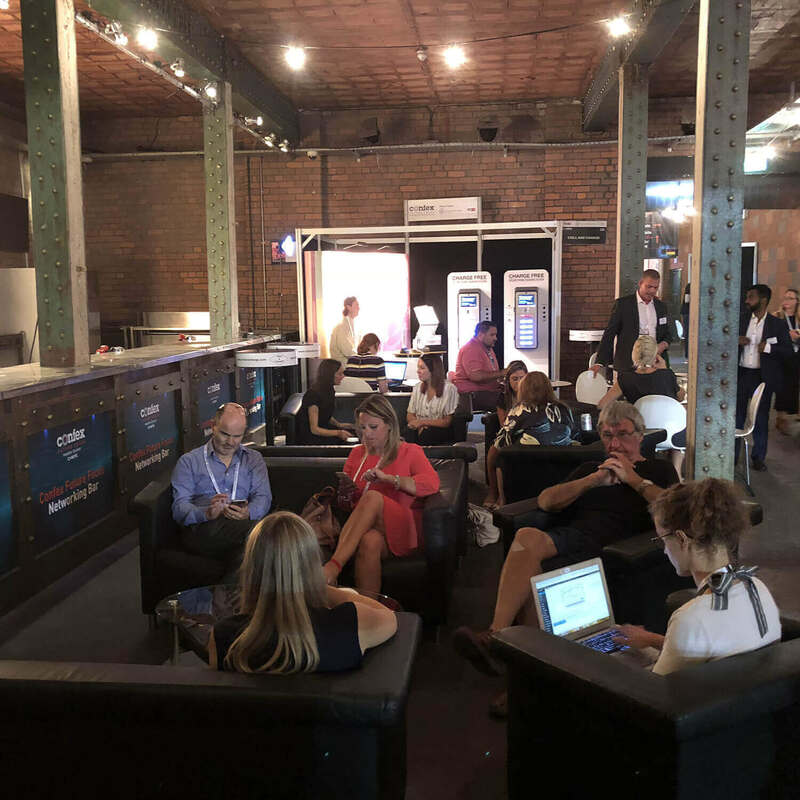 Venue partners can attract customers and receive indirect value (getting credit for meeting a customer need), and earn different forms of direct revenue (recharging, advertising and interactivity). 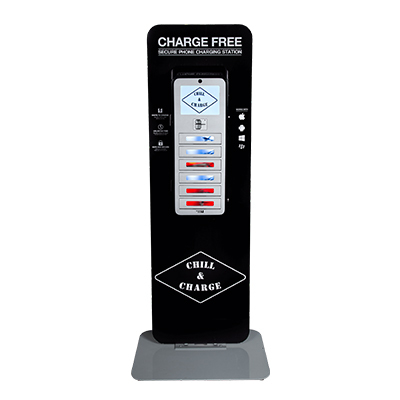 Chill & Charge's products and services enhance existing venue value propositions by attracting, engaging, satisfying and retaining customers.